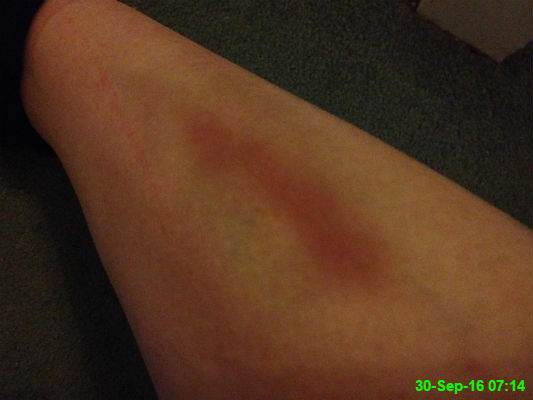 I was surprised to see this bruise on my shin because I don't remember bumping it. 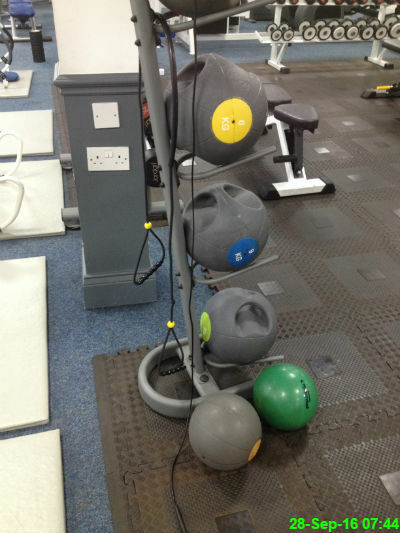 My best guess is something gym-related from earlier in the week. 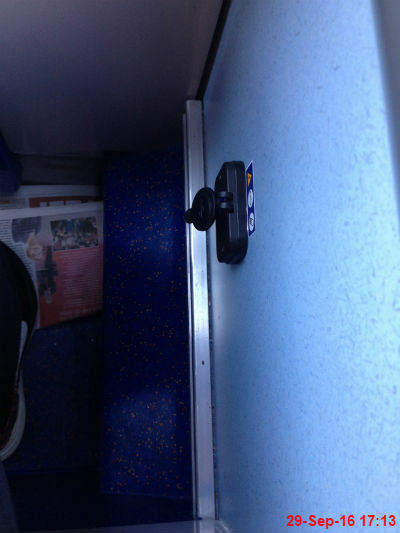 I didn't need to take advantage of this today, but Stagecoach have recently introduced upgraded buses which include sockets to charge your phone. 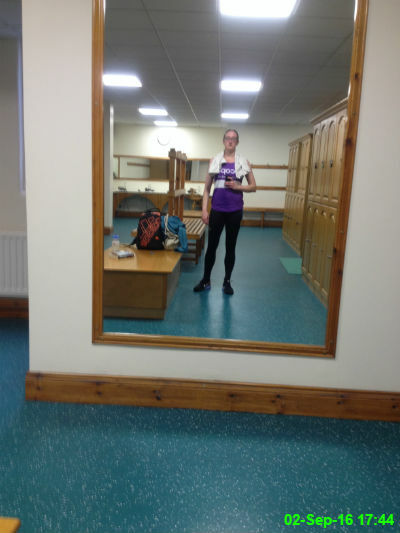 It was leg day today so I didn't have any need for these, but it was something to take a photo of between squat sets. It seems there are road closures and diversions all over the place at the minute. 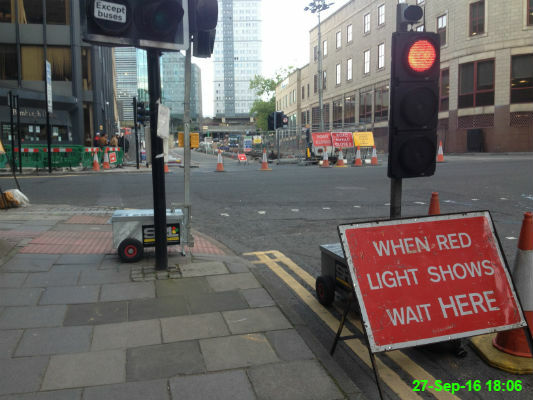 This closure of John Dobson Street is causing me mild inconvenience between the gym and the bus stop. These are some of the prizes in a fundraising raffle. 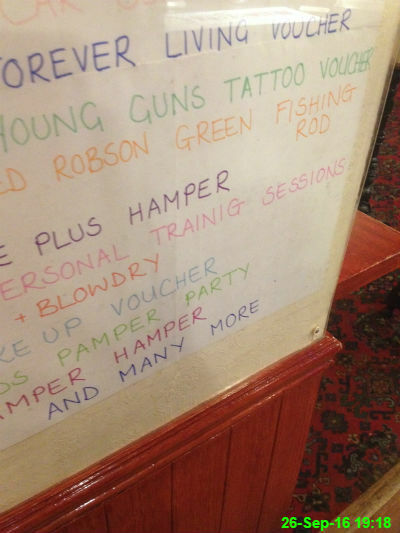 Of course I only took the photo because I noticed the spelling of "trainig", but the idea of a signed Robson Green fishing rod is quite intriguing. 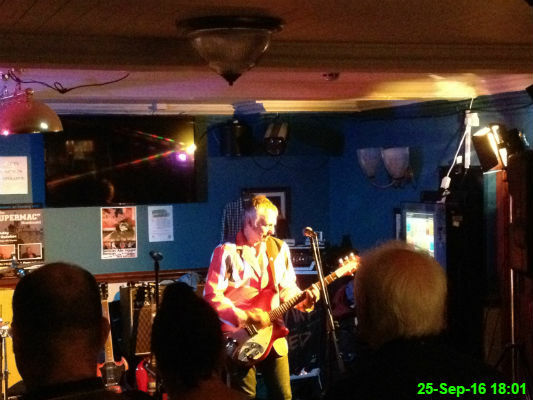 The Whodlums were playing a charity gig at the Benton Ale House so it would've been silly of us not to pop along. 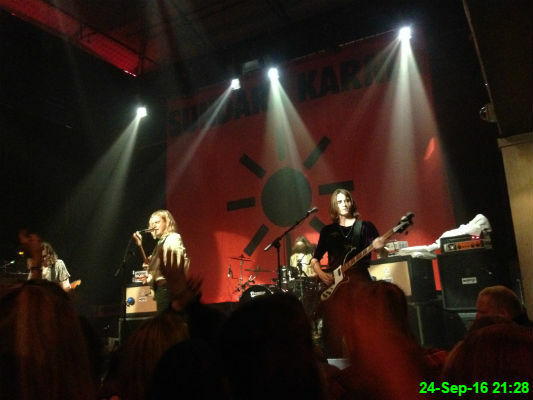 I've really been getting into Sundara Karma over the last few months so it was awesome to see them live at the Riverside tonight. 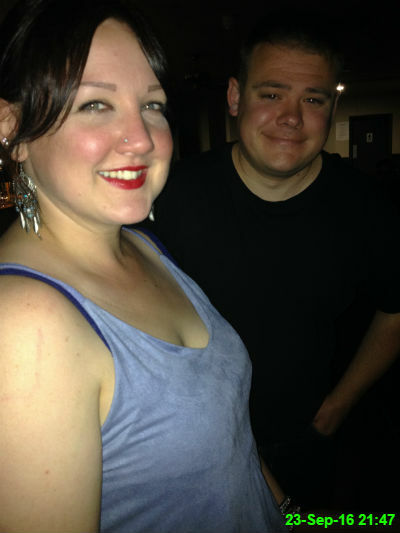 I went to PopKlubb with Ali, Michael and Paul (who escaped the picture). Great night! 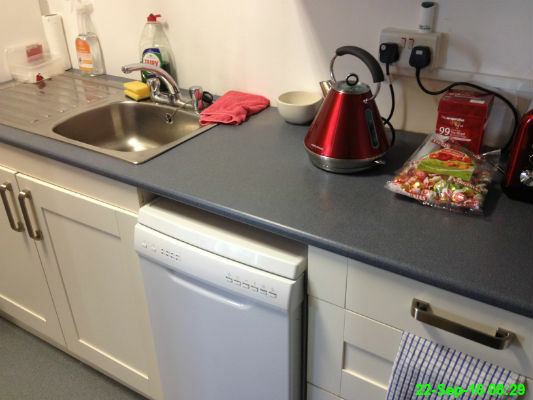 We've had new kitchen units put in at work along with a dishwasher and new fridge, kettle, toaster and microwave. 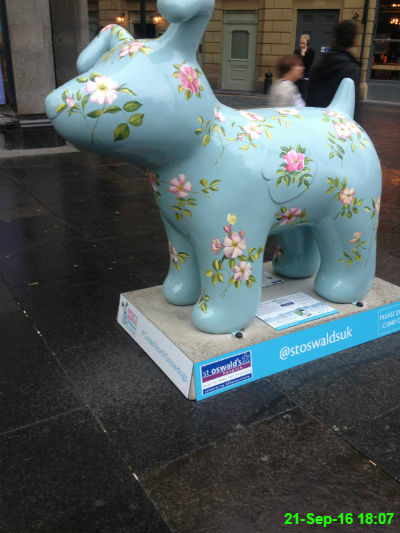 These are popping up all over town at the moment and while they're nice to look at, they keep making me want to sing 'By-Tor and the Snow Dog' by Rush. 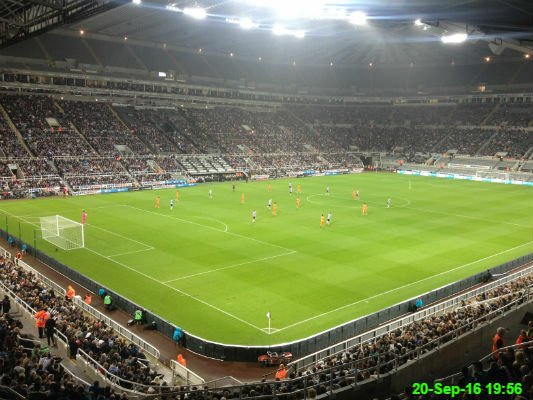 Despite the scoreline being reversed a matter of days ago, Newcastle came out on top and progressed into the next round of the League Cup. 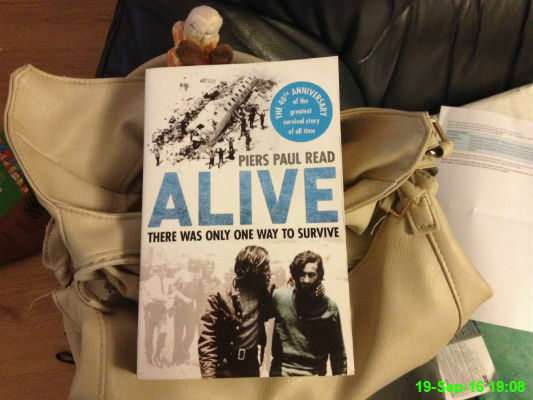 I've seen the film many years ago, but I've never read the book so I've borrowed it from Dad. It's a really interesting insight to an event which I've always found fascinating. 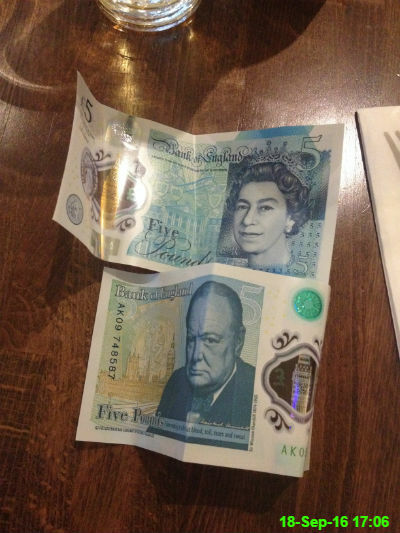 I had my first touch of the new style £5 notes. Unfortunately I didn't get to keep them as Alison had promised them to Stu! 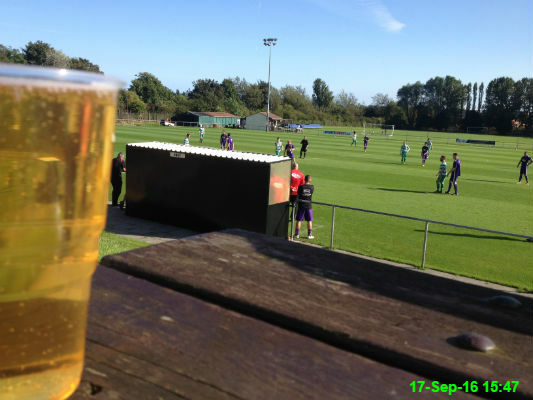 Cider and sunshine seemed like a great way to spend the afternoon and I certainly saw some goals, although after Allotment fought back from 3-1 down to 3-3 it all went wrong again. The company which has taken over my work took us out for some drinks to welcome us to their firm. 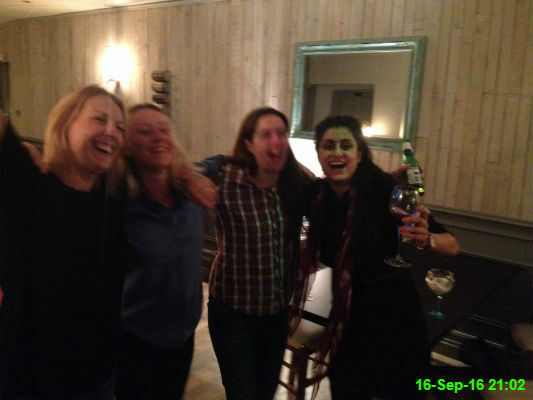 Margie, Nicola, Sara and Rhena certainly seemed to enjoy it. 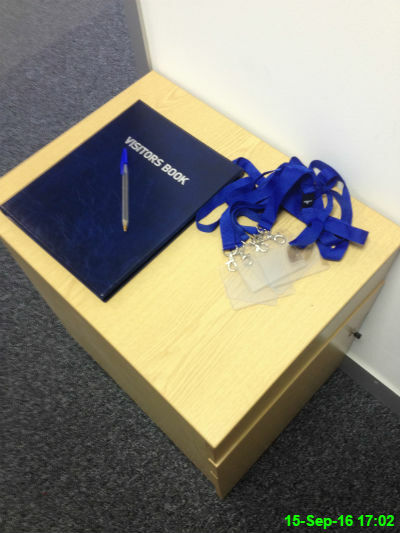 We now have a book so visitors can sign in and out of the office. 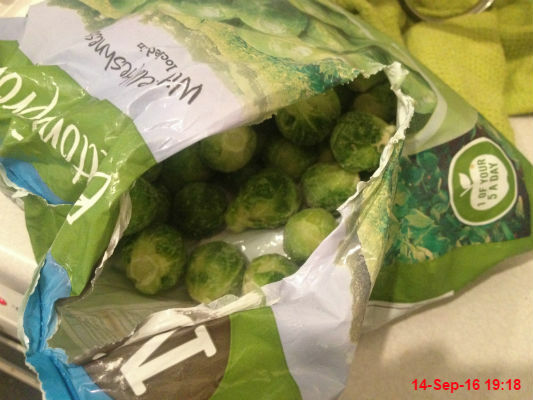 Sprouts are one of the most unfashionable vegetables, but I bloody love them. 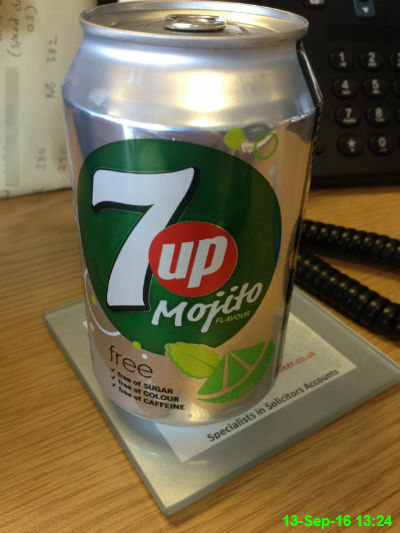 I've wanted to try this for ages but I found it extremely disappointing and don't think I'll be in a hurry to have it again. 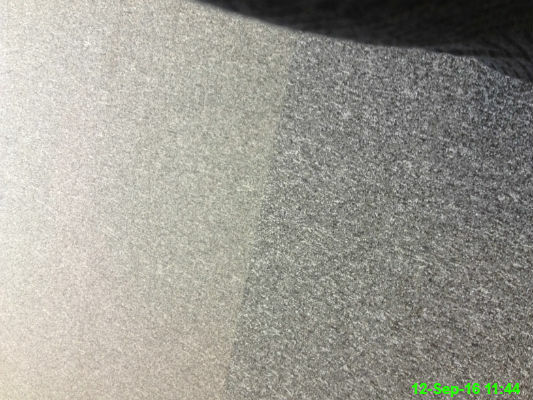 We finally have new carpets at work. 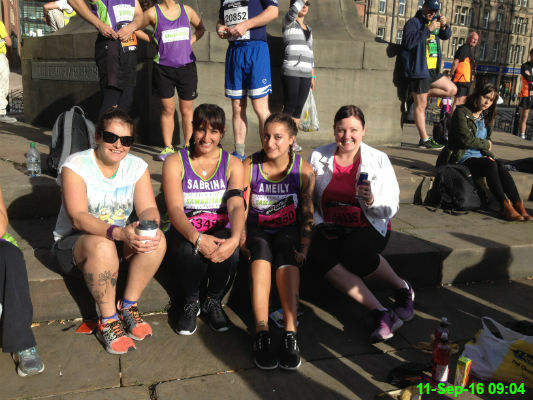 I hung around with Tracee, Sabrina, Ameily and Ali before the start of the Great North Run. I haven't done a great deal of training for the Great North Run this year but at least my outfit is ready. 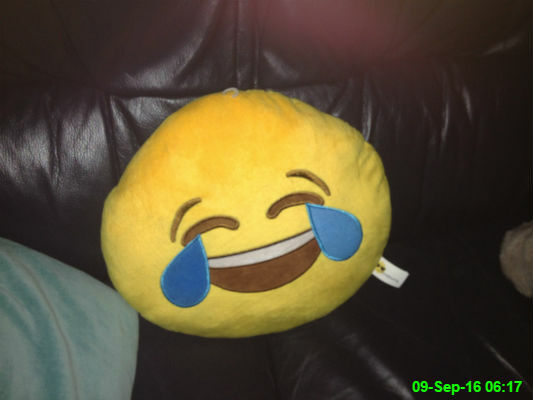 After the success of the poo cushion I got in June, Michael brought me this laughing face back from a trip to London. 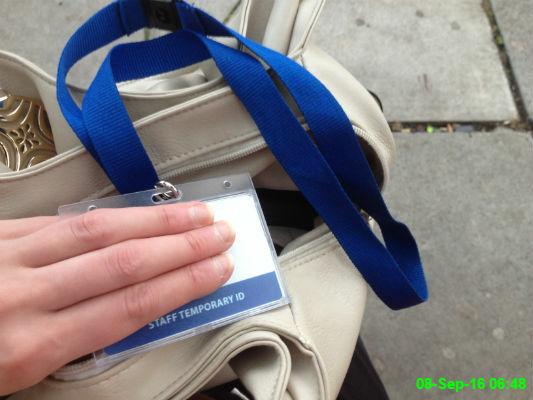 This is only a temporary ID card until I get one with my picture on, but I need to get used to wearing it around my neck. 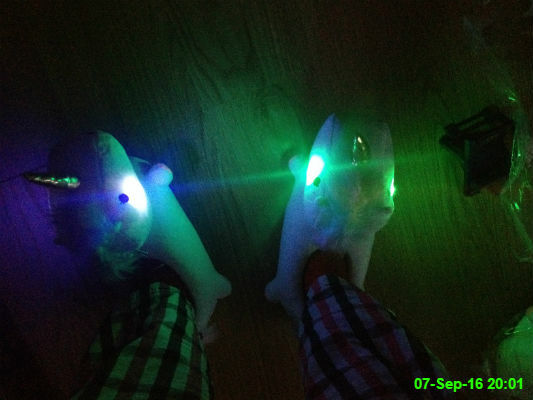 Me and Alison ordered matching "Enchanted Light-Up Unicorn Slippers" a few days ago and they arrived today. Not only do they work perfectly, I'm in love with them already. 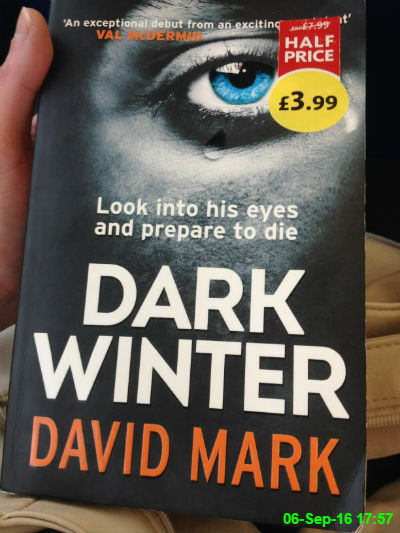 I finished this book today after only starting it a few days ago. I hadn't heard of the author before but it was a very enjoyable read. 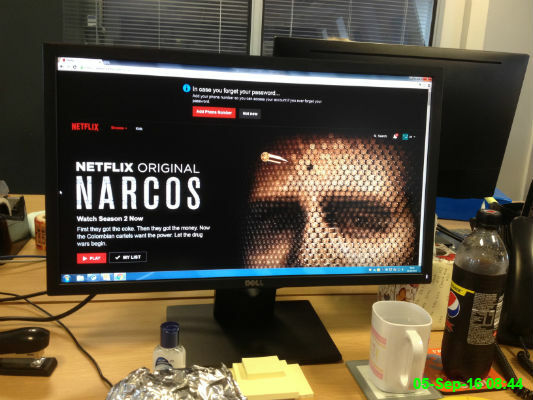 I wasted no time in testing my new widescreen monitor with some Netflix. An older generation of McDades, most of whom are sadly no longer with us. 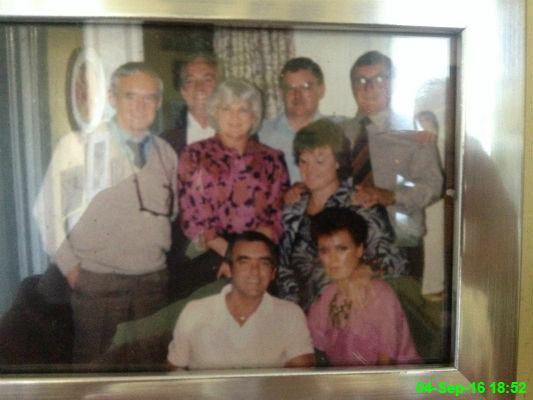 Teddy, Tommy, Joan, Gerry, Vinny (Granda), Margaret, Pat and Johnny. 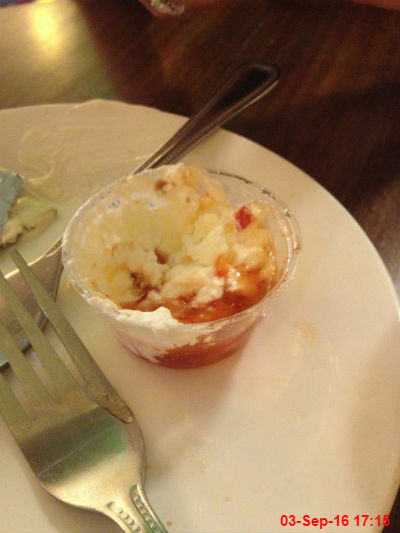 This was described on the menu as sweet chilli mayonnaise. Instead it seemed to be separate creme fraiche and sweet chilli dressing in the same bowl, which was extremely unappealing. 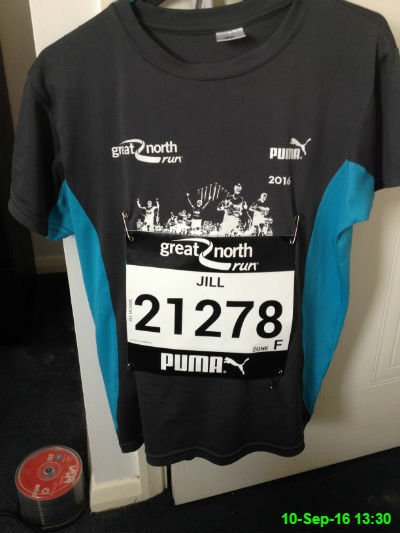 With 9 days to go until the Great North Run, I've established I can at least dress like an athlete. Even if my gym session tonight only consisted of watching Pride and Prejudice on Netflix while cycling. 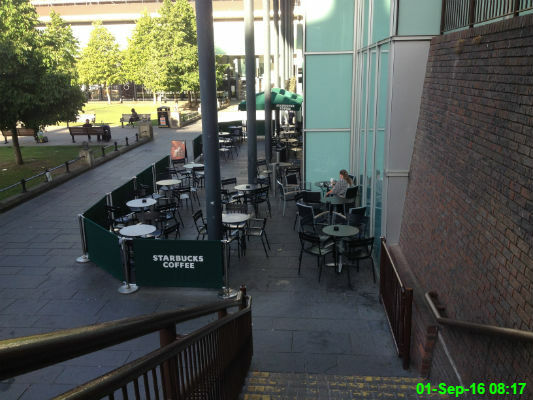 It seemed a nice enough day to sit outside Starbucks, if only I didn't hate the smell and taste of coffee. It was actually preferable to go to work.